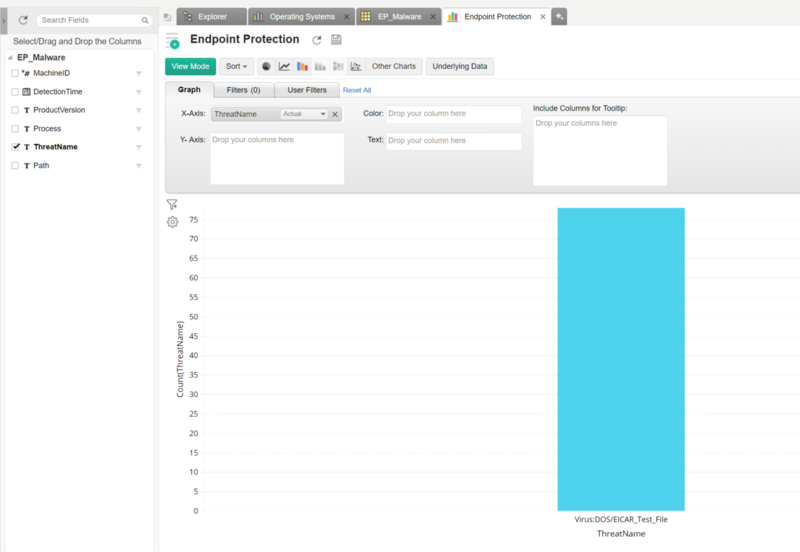 The most common question I get from my customers who are using Configuration Manager is without a doubt; “Can I get a report on this?”, “Is there a dashboard for this?” or other analytics. 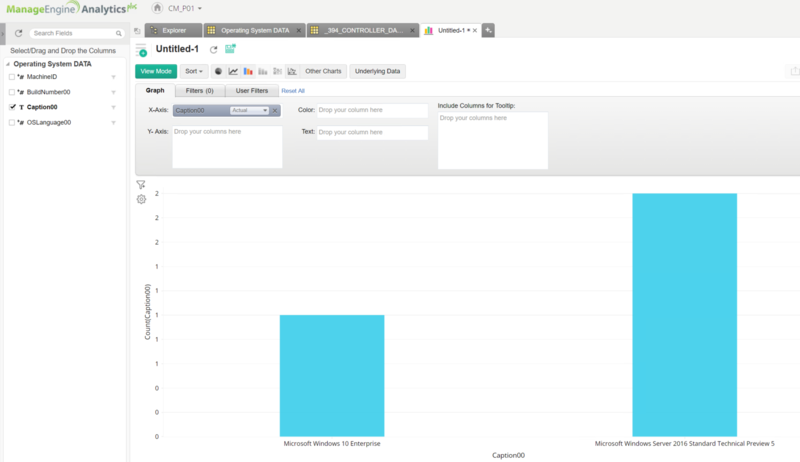 Well, as most of you know, the reports straight out of System Center Configuration Manager isn’t always the best and there is no simple way of creating a dashboard either, at least not for the customer to use directly. 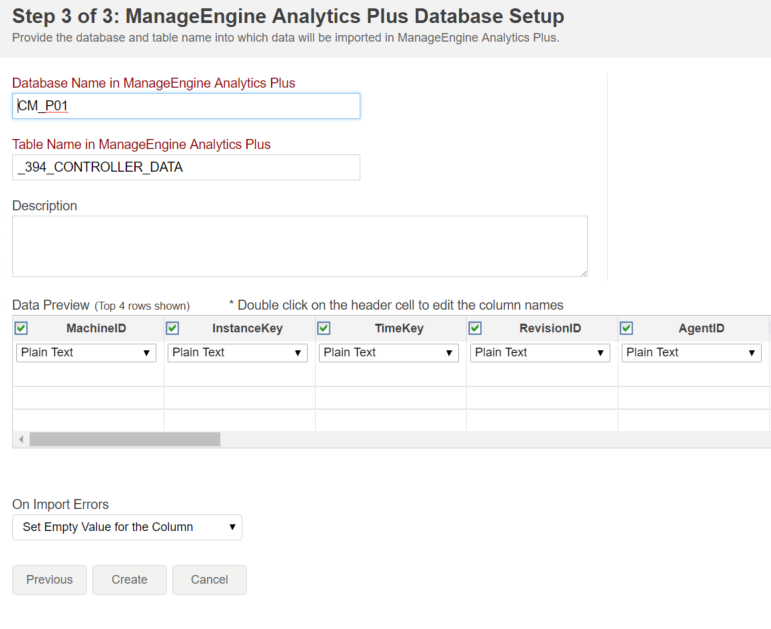 In this post I will be working with Analytics Plus from ManageEngine and show you how you can read data from the database directly and create a dashboard with three of the most common requests. Analytics Plus integrates out of the box with other solutions from ManageEngine, ServiceDesk Plus and OpManager for example, but you also have the possibility to fetch data from other sources like MySQL, SQL and Oracle databases. Note that it’s https and not http, also change the port if required. This will open a wizard that will guide you through the entire process. I’ve entered the data required in the following pictures, just change the values to match your environment. 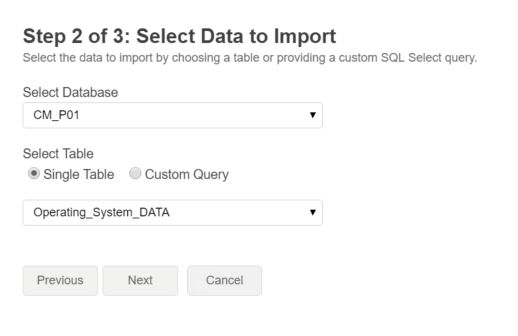 On the next page you have the option to either select a single table to import, or to write your own custom query. Here you can choose what you would like to do. Further down I will show you how to import new data with a query, so in this case I will select the first available table. Once imported, you will see a summary of the import, and you will be able to set a scheduled on how often you would like to do this import. 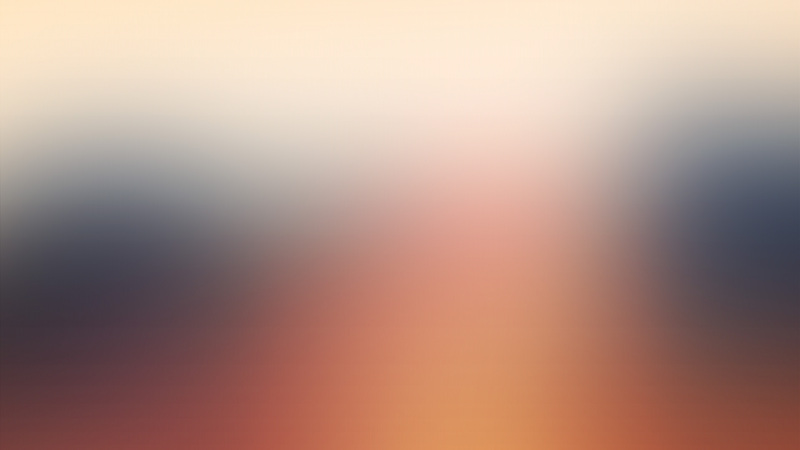 Depending on the data you want, the time is different, but I set the import to once every day. When done, click on close. 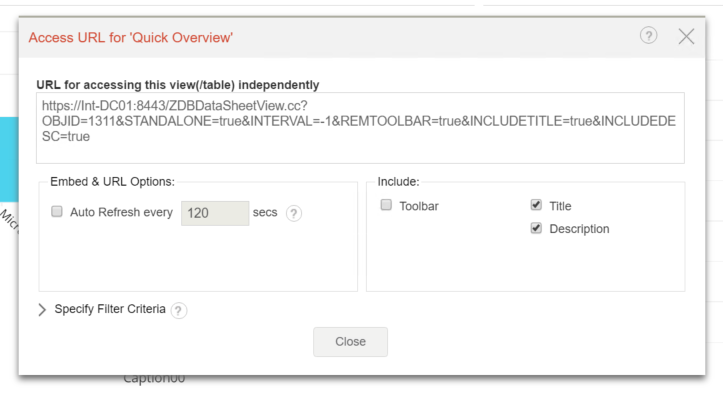 Once you’ve clicked on close you will get a question if Analytics Plus should analyze and create reports for you. I’ve tried this on a few tables but unfortunately this doesn’t work all to well on the database for Configuration Manager, so I would recommend that you click on “No” at this time. Then you will be presented with the table, in my case it will be empty since I don’t use this table in my environment. Okay, now that we have everything in place and know how to import data from our database, it’s time to create our first report that will actually show something useful. Almost every head of IT or similar would like to know how many clients there are in the environment and what OS they are running, they don’t need to know the name of client or it’s location, just a number. So the first report we will create will contain the above information in nice chart view. As you can see, we have the name of the OS under “Caption00”, so we will use this table for this report. 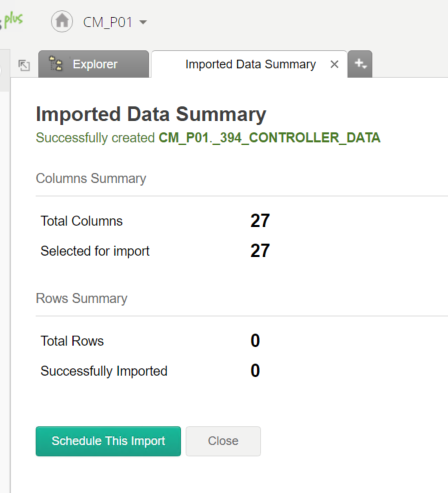 Back in Analytics Plus we then click on “Import Data” in the upper right-hand corner. 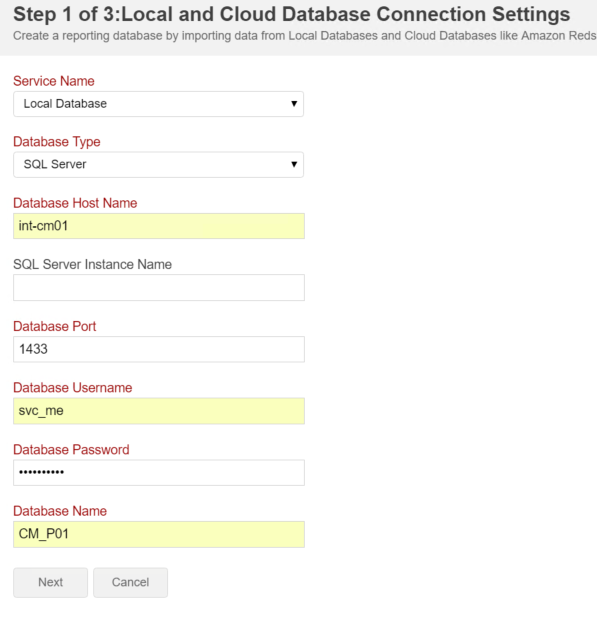 We then select to import data from “Local and Cloud Databases”, which will bring up the same guide as before. Enter the details and click on “Next”. 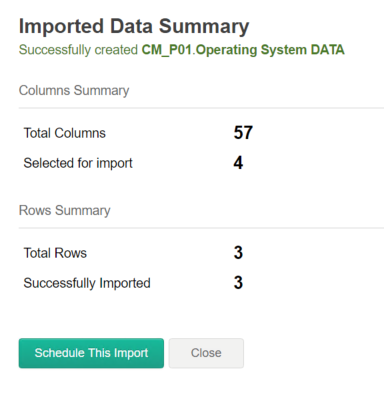 On the next page, select to import data from a single table and select “Operating_System_DATA”. Then click on “Next”. The next step is to create our first chart view. To do this, click on the “Add-button”, just above “Edit Design” and select “New Chart View”. When done, save the the chart and give it a name, Operating Systems for example. Next, let us create another “Bar Chart”, so following the instructions above for Operating System, create one using the table called “EP_Malware” and when creating the chart, set ThreatName on the “X-Axis”. Well, the above is pretty nice, but still it’s just numbers. Another report that could be nice is to check the status of content that is being distributed to our distribution points. 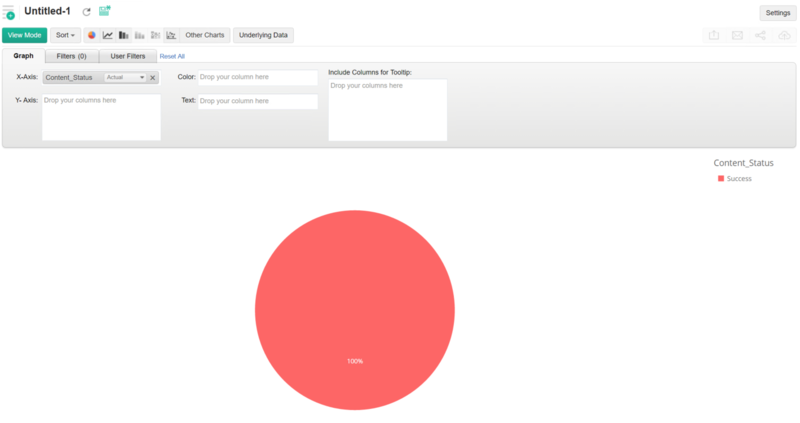 Checking this in the console is possible, but it still requires several clicks and you need to check every package and application one by one, so in this example we will create a “Pie chart” that contains all of the information we need for a quick overview. This however requires the we write our own query since we will be needing information from several different tables and views. I will post the complete query here, but not going in to details on every part. 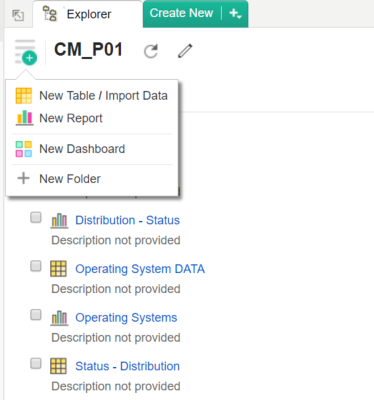 Give the table a name that will be used in Analytics Plus and then click on “Create”. Then select how often new data should be fetched, in this case I would recommend every other hour. Save the chart by giving it a name and the go back to the tab called Explorer. So, now we have three charts but handing this to the head of IT might not be the best idea, so we will create a dashboard that contains all of them. Then save the dashboard and give it a suitable name, for example “Quick Overview”. To see the new dashboard in action, click on “View Mode”. From here you can drill down to the data that the charts are based on for more information. So, we have a nice dashboard with the information that updates every hour or day depending on what you’ve configured it to do. But how will we present it to the receiving person? Well, you can either export it to a PDF or HTML file, send it directly in a mail, or even better, publish a permalink that will auto refresh. To do this, simply click on “Publish” in the top-right corner and select “URL / Permalink for this view”. From here you can define auto refresh and what to include. 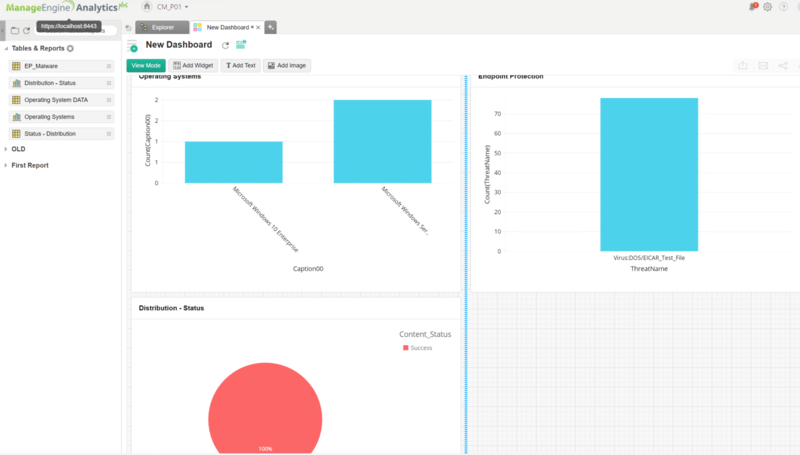 Creating reports and dashboards has never been as easy as with Analytics Plus. It still requires that you have basic knowledge in SQL and a good understanding of how the database for Configuration Manager is built, but a lot of the headache is removed when trying to create a dashboard in System Center Configuration Manager. I will continue to develop guides for new reports and post them on my site for you to use, I have a few in mind, but if there is something specific that you would like to see, let me know and I will try to create it! More reports can be found HERE! This entry was posted in ManageEngine, SCCM, SQL and tagged Analytics, Analytics Plus, Configuration Manager, Dashboard, ManageEngine, Reports, SQL. Bookmark the permalink.